The Character Pack is provided with different textures for each prop, but it is obviously possible to customize these textures and even to add new ones. Replacing an existing texture is fairly simple, as it is enough to edit the existing file with your preferred image editing software. 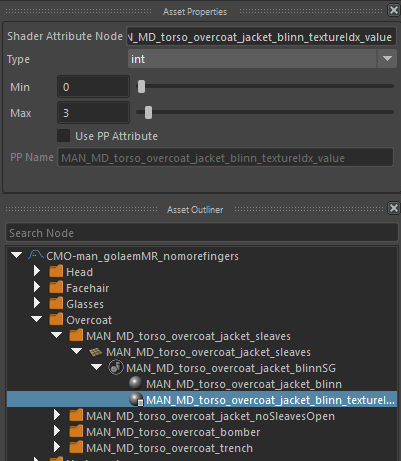 The quickest way to find which texture should be edited is to select the associated props and show the shader network of the associated blinn shader in the Hypershade. 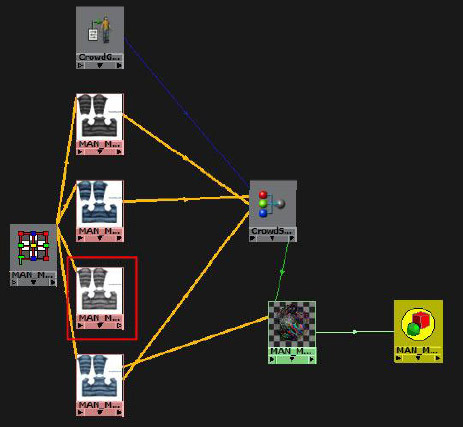 Disabling an existing shader basically consists in breaking the connection between the shader and the associated Crowd Switch Shader node (see above capture), and adjusting the character file shaders attributes. 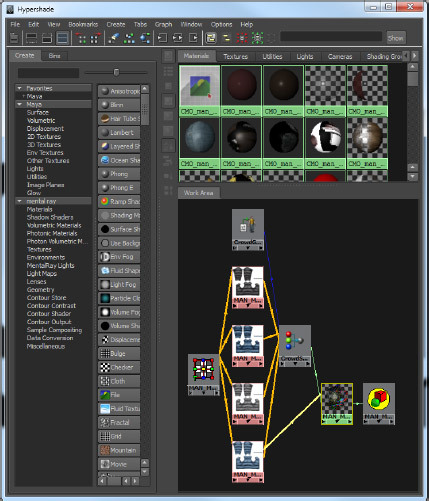 Adjust the Shaders Attributes in the Character Maker, so that it matches the number of configured shaders. Do not forget to save the Character File (.gcha). Adding a new shader consists in linking a new shader to the CrowdSwitchShader associated to the Blinn shader of the prop. 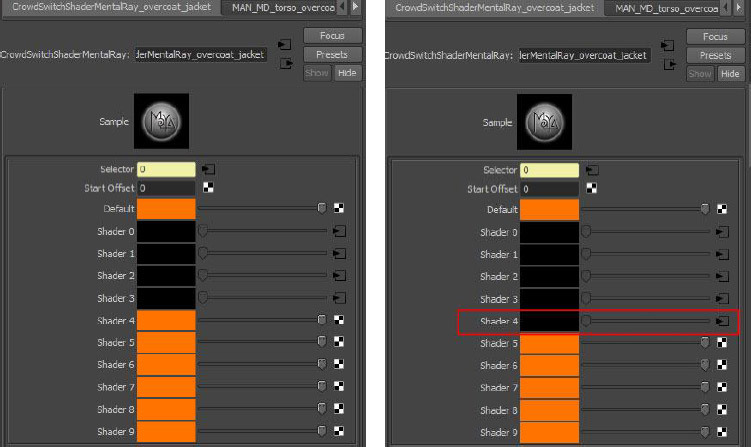 Find the next available shader in the shader list and click on the checker to create new shader. 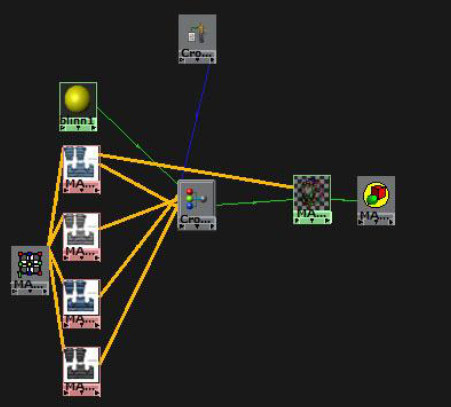 Choose the shader type you want to create and configure it. 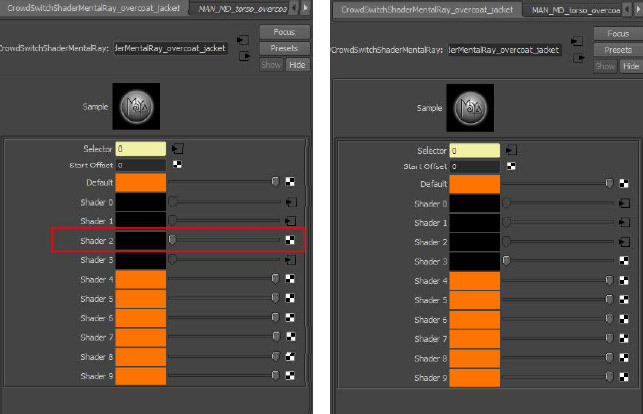 Note that you can create any type of shader provided it can be rendered with your renderer.